Feels great in your hands and is personalised just for you. This flexible phone case was built to withstand impacts. Upload a photo into our editor or use our in-house designs and colours. A soft case provides more grip. A soft case cover offers a strong grip and ensures that your phone will not easily slip out of your hands. Your phone can easily be placed into and taken out of the case due to the cover’s flexibility. The case is made of elastic silicone and provides one of the best types of protection for your phone, which is why it is an excellent choice for your brand new and valuable Samsung Galaxy S7 Edge. The openings in the case do not hinder the phone’s functionality, so you can easily plug in your earbuds or charger. Our soft cases are offered in black, white or a transparent colour, with your own personal design on the back. 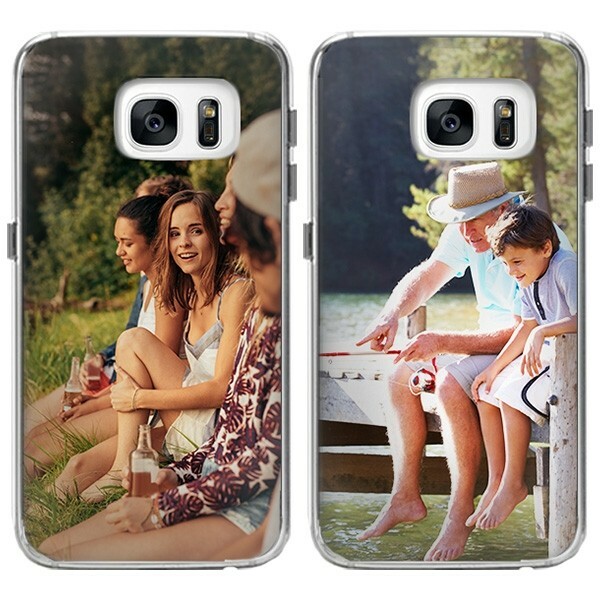 Using our user-friendly design module, you can easily create your very own Samsung Galaxy S7 Edge case. Do you have a memorable vacation photo or a family photo that you would like to show the world? Well all you have to do is choose the photo you love and upload it into our customizer. It’s also possible to upload pictures off of your favourite social media websites, such as Facebook or Instagram. You are the designer and have the entire design process in your hands. All we do is print your case! If you do not know how you should design your case, we also offer a variety of designs and colours that you can choose from. Do you want to design a case for friend who has another phone? 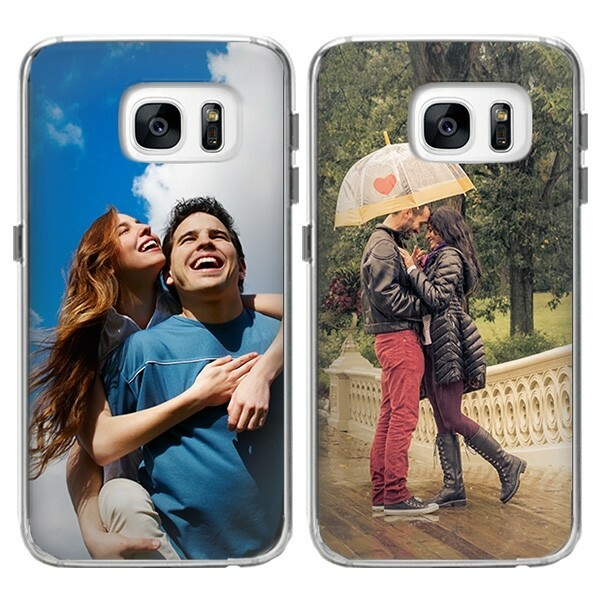 Well browse our shop to find their phone model and create a perfect gift for them! The most unique form of protection for your phone. A Samsung Galaxy S7 Edge case is very useful for protecting your phone. With your own personal design, it is also a very unique form of protecting your phone! Our high quality ink results in a sharp and beautiful design, which is printed quickly and shipped out within 24 hours! Shipping is quick and reliable! Do you want to stand out from the crowd and have your own style? 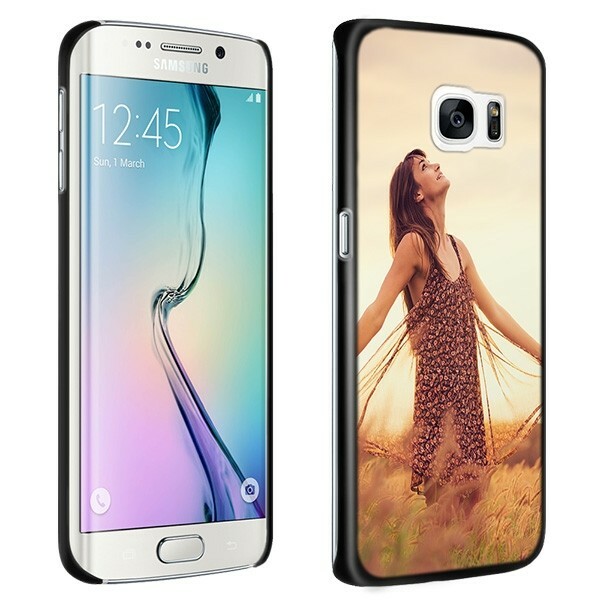 Then design your very own Samsung Galaxy S7 Edge case today! If you have any questions, our team is always there to help you at support@gocustomized.co.uk.